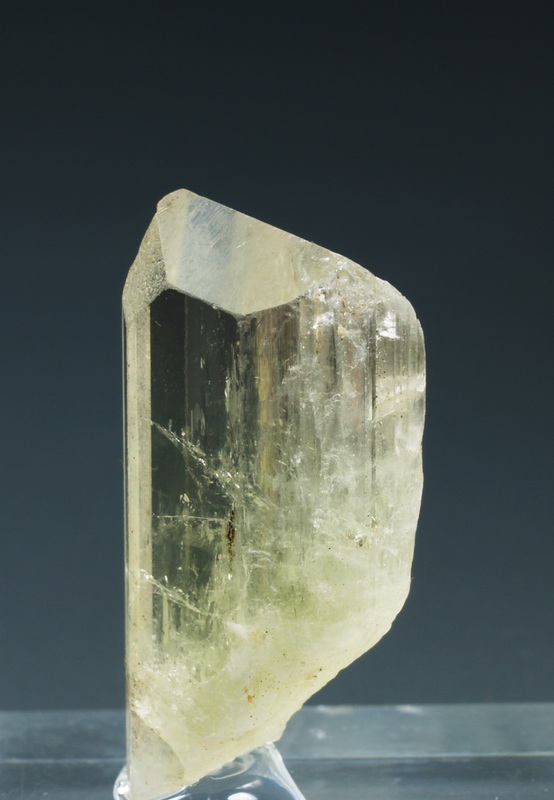 Well crystallized colorless to slightly yellow green spodumene crystal, with well defined terminal faces and parallel growths. 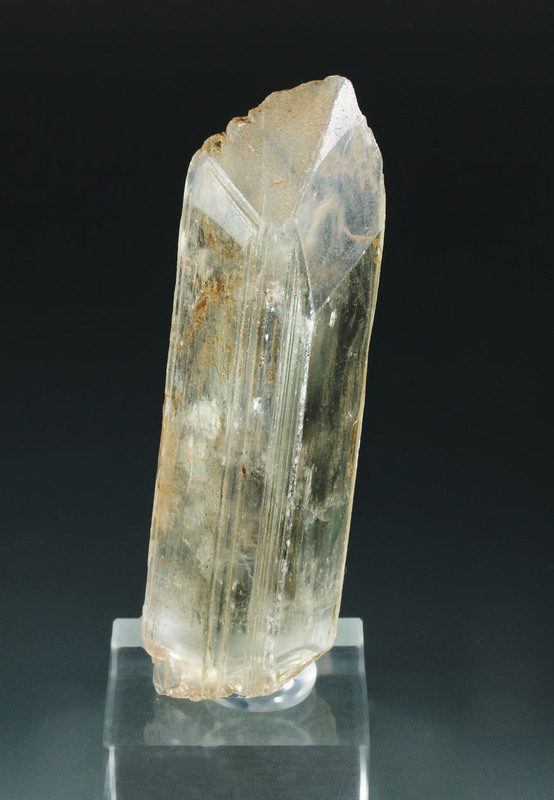 The crystal is translucent with marked transparent areas. 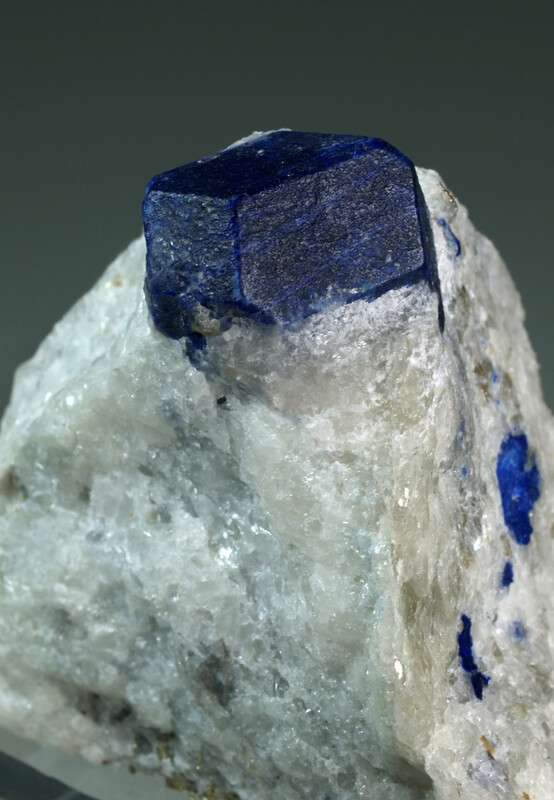 A good size gemmy specimen. 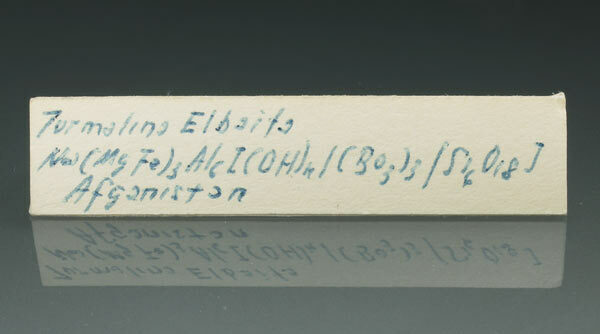 Size: 7.5 x 2.4 x 1.0 cm. 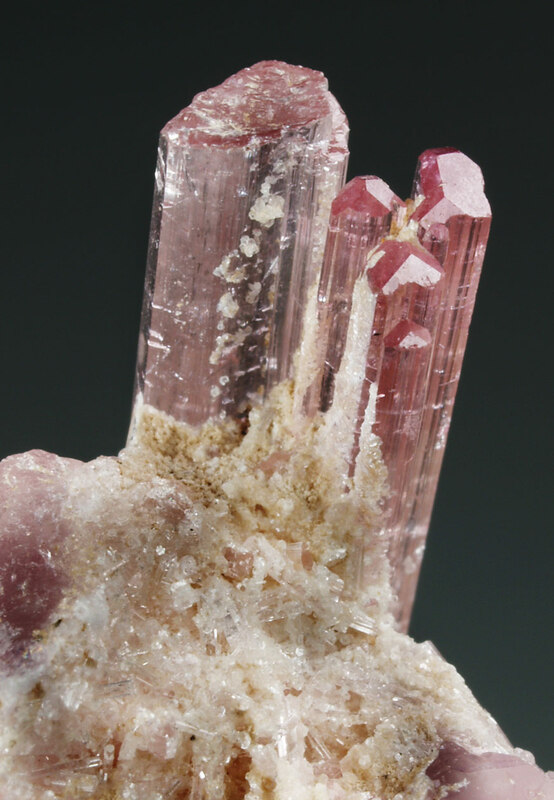 Well crystallized colorless to slightly pink spodumene crystal, with well defined terminal faces and parallel growths. 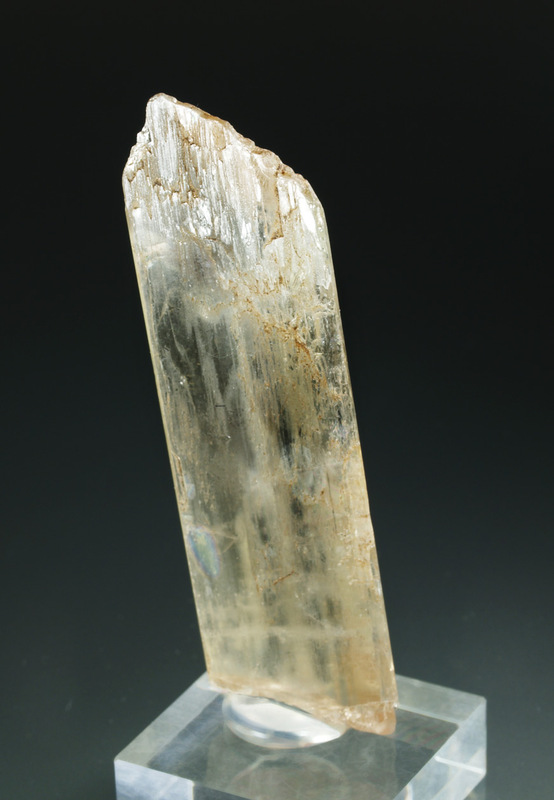 The crystal is translucent with marked transparent areas. 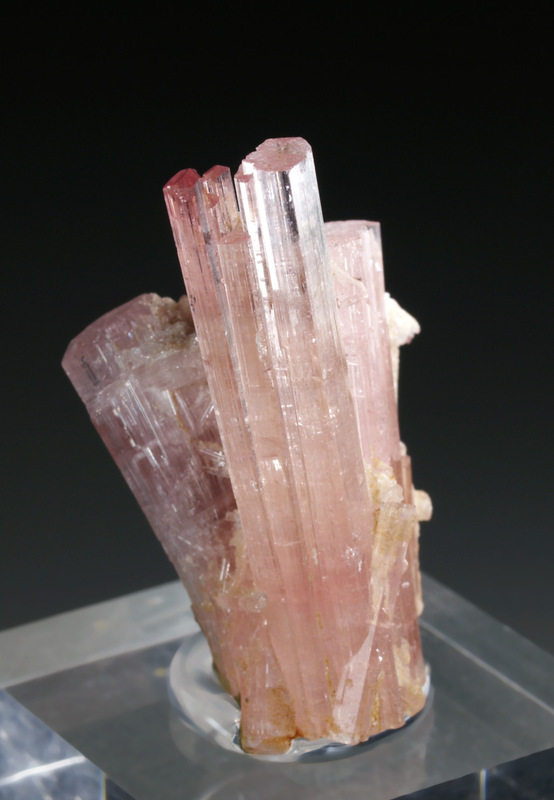 A good size gemmy specimen. Size: 3.8 x 1.7 x 1.3 cm. 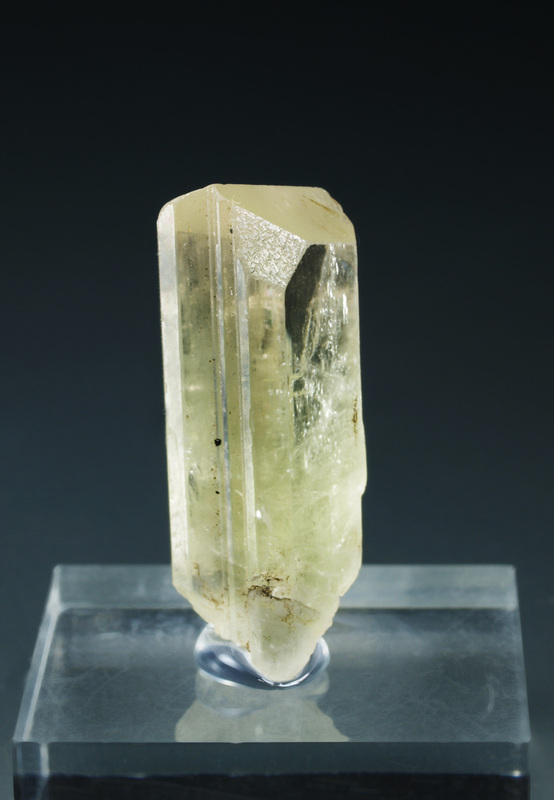 Well crystallized colorless to yellowish spodumene crystal, with well defined terminal faces and parallel growths. 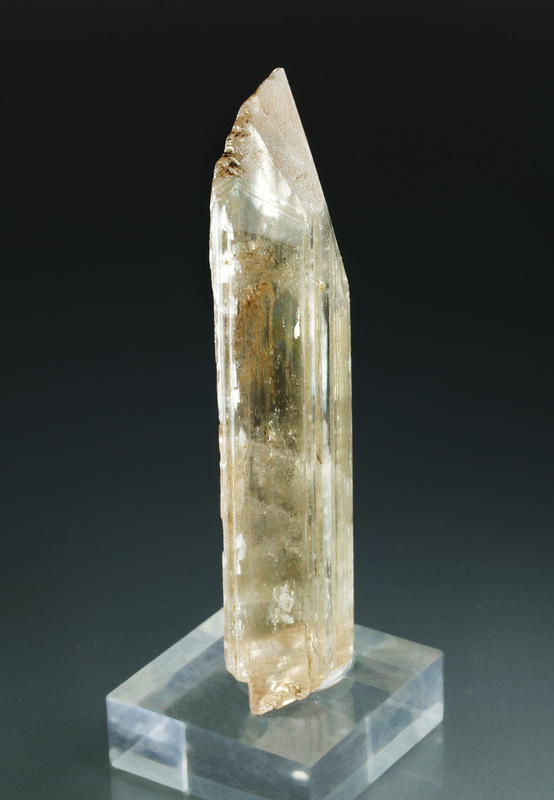 The crystal is translucent with marked transparent areas. From a classic locality for the species. Size: 3.0 x 1.4 x 0.9 cm. 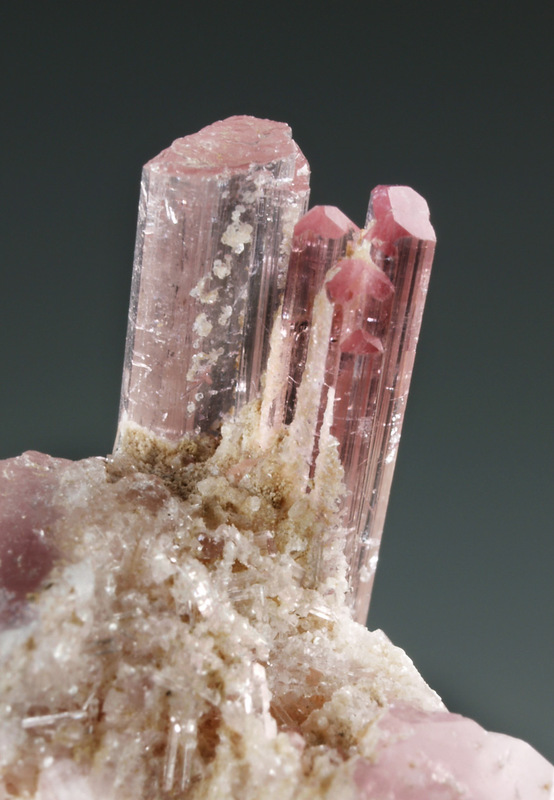 Well crystallized colorless to slightly pink spodumene crystal, with well defined terminal faces and parallel growths. 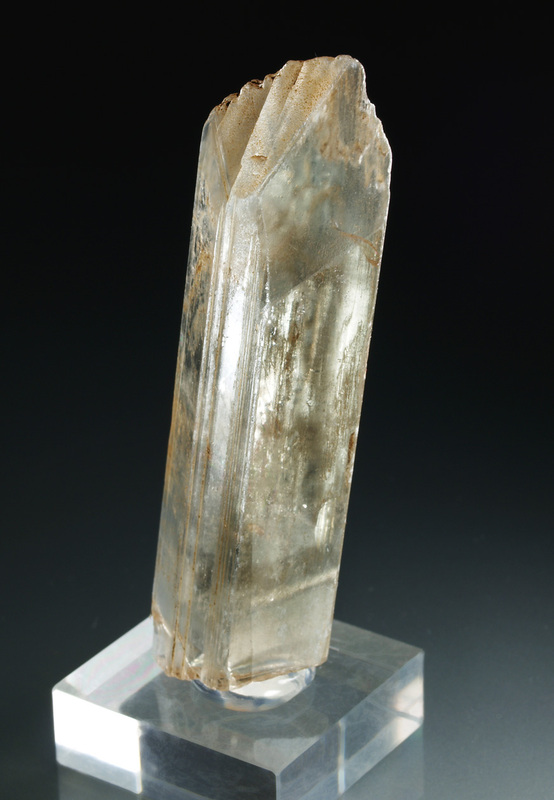 The crystal is translucent with marked transparent areas.A gemmy specimen. Size: 3.8 x 1.5 x 1.3 cm. 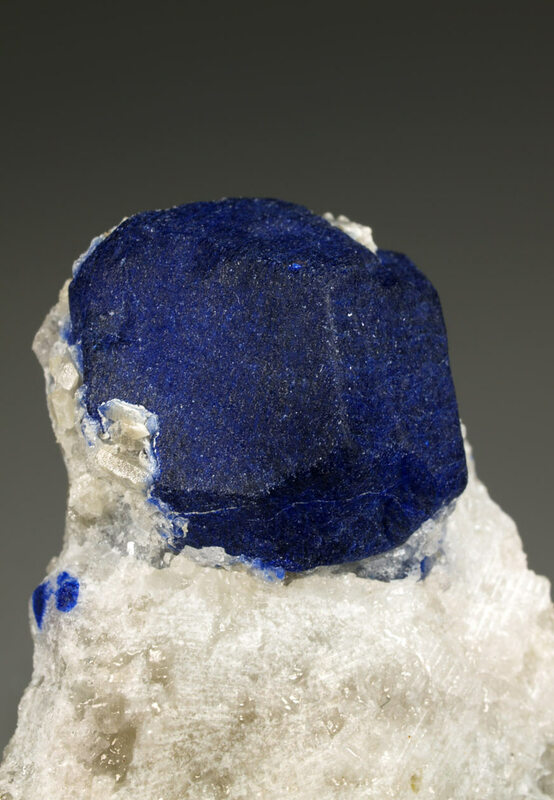 A fine lazurite specimen from the Type Locality: Sar-e Sang, Afghanistan. 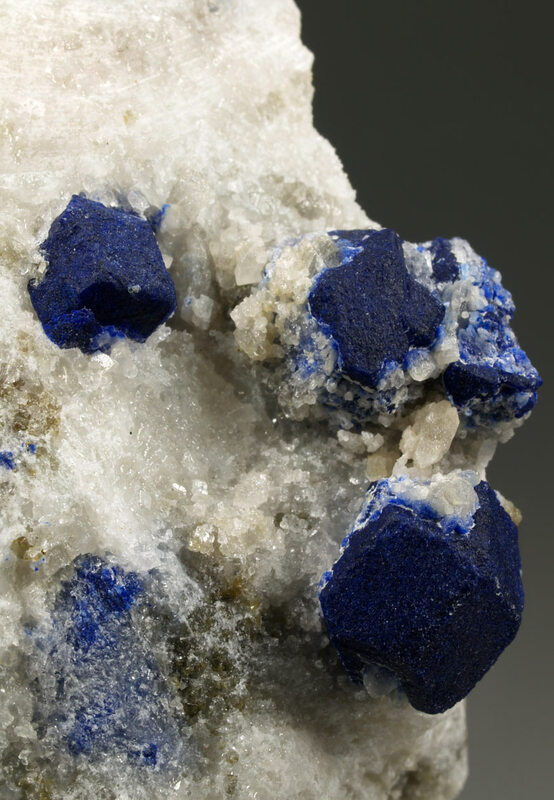 A group of very sharp blue-violet lazurite crystals, one of them dominant and very aerially diposed, contrasting white the calcite (marble) matrix, with larger crystals within the marble. 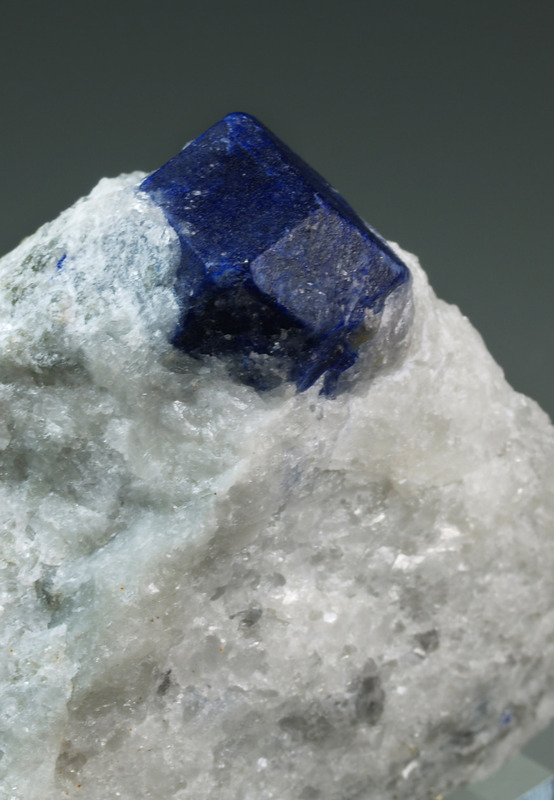 They show dodecahedron faces and cube faces on the main crystal. 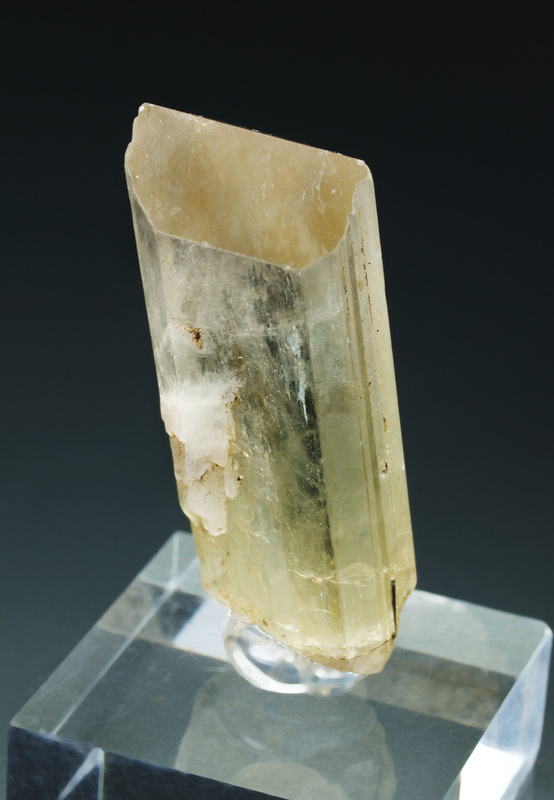 It must be said to be strict, that these crystals are really sulfide-rich haüyne. 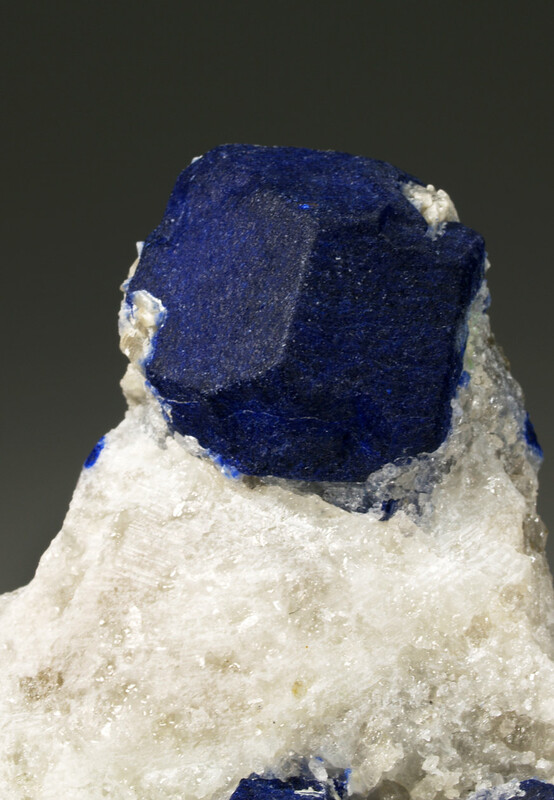 In the words of the recently published article about Sar-e Sang in Mineralogical Record (Vol. 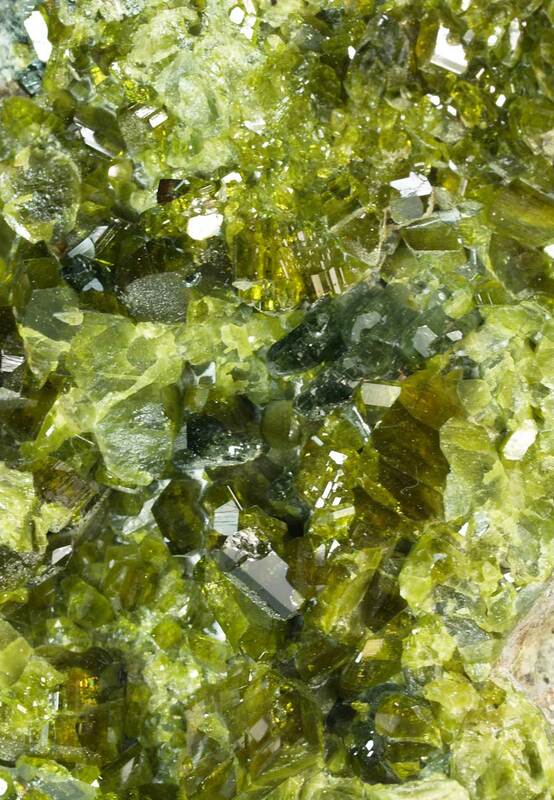 45, 3), all specimens analyzed from Sar-e Sang contain some sulfide, but is nevertheless sulfate-dominant. 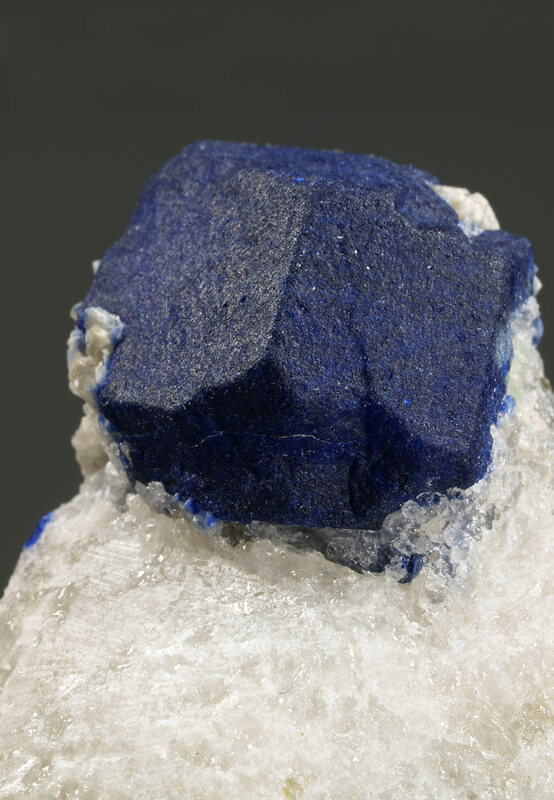 Note that in nature is not described any sulfide-dominant lazurite. Size: 8,5 x 5,2 x 4,0 cm. 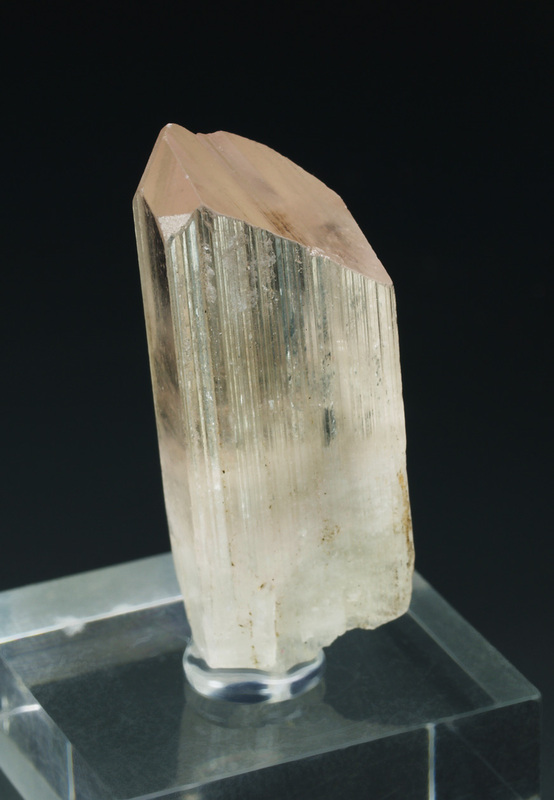 Main crystal: 24 x 22 mm. 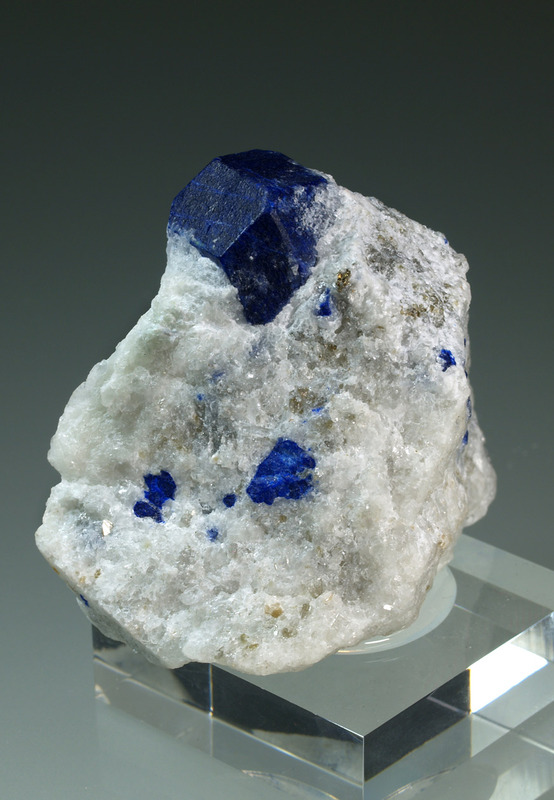 A fine quality specimen of lazurite from the type locality for the species. 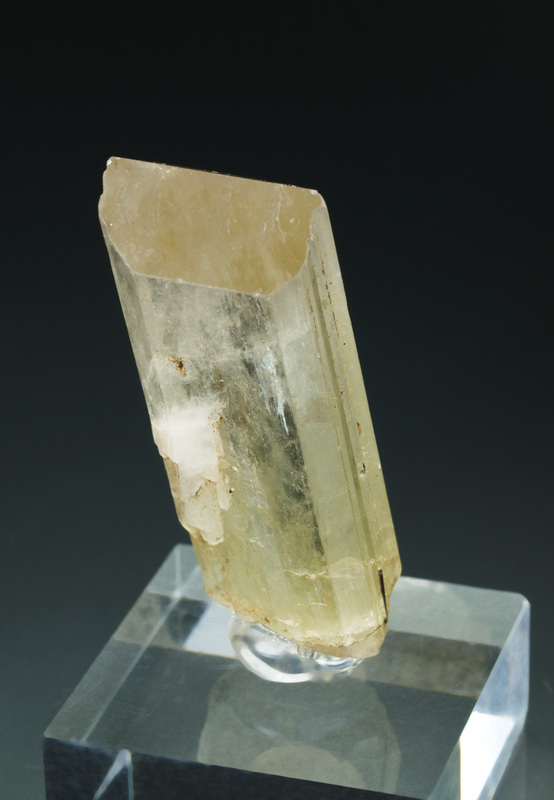 It is a crystal with a good size, very aerial and contrasting on the matrix of calcite (marble). 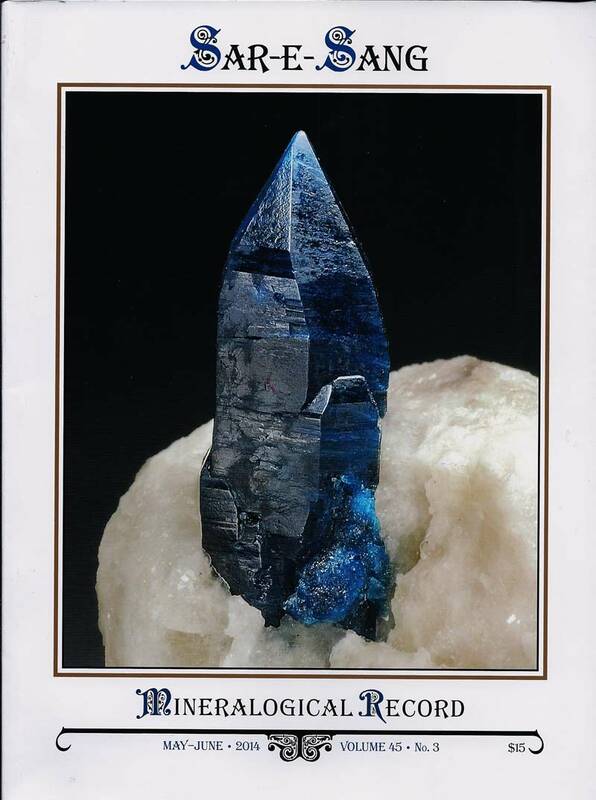 It presents an intense blue color, with very defined faces (not polished) of the dodecahedron. 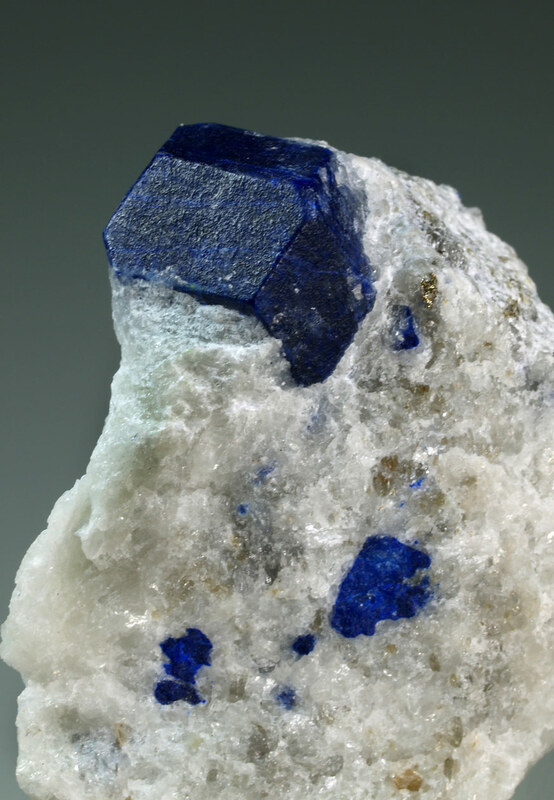 It must be said, to be strict, that these crystals are really haüyne rich in sulphide. 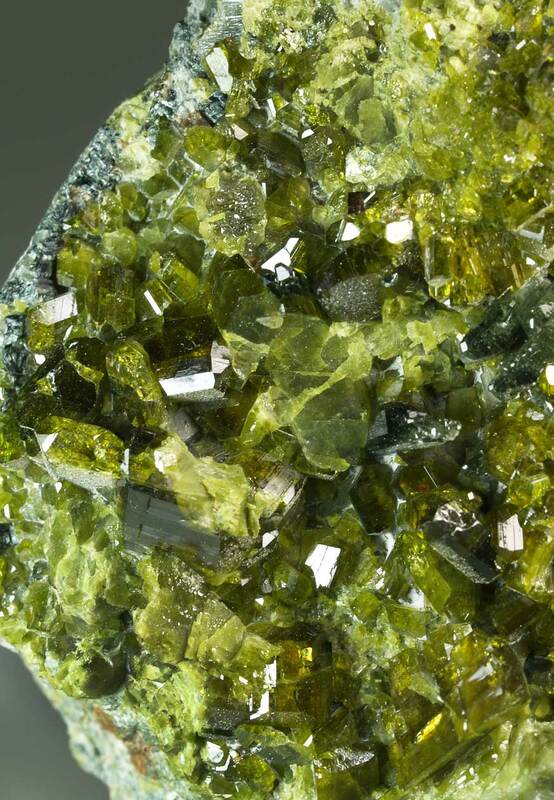 According to the published article of Mineralogical Record (Vol. 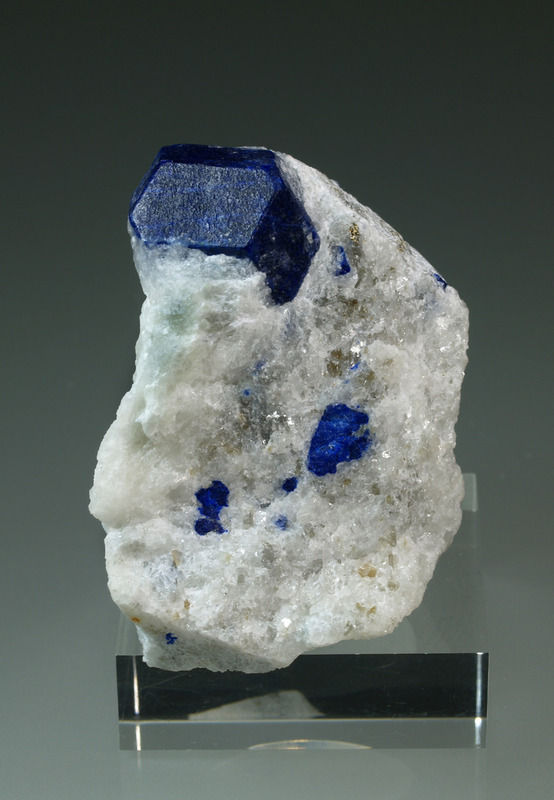 45, 3), all the analyzed specimens of this locality contain sulphur, however, in nature there is no lazurite with dominant sulphide. 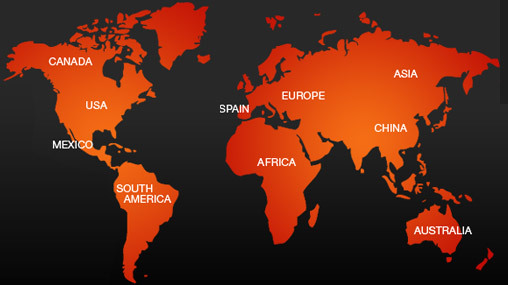 In the mining area several mines are worked. 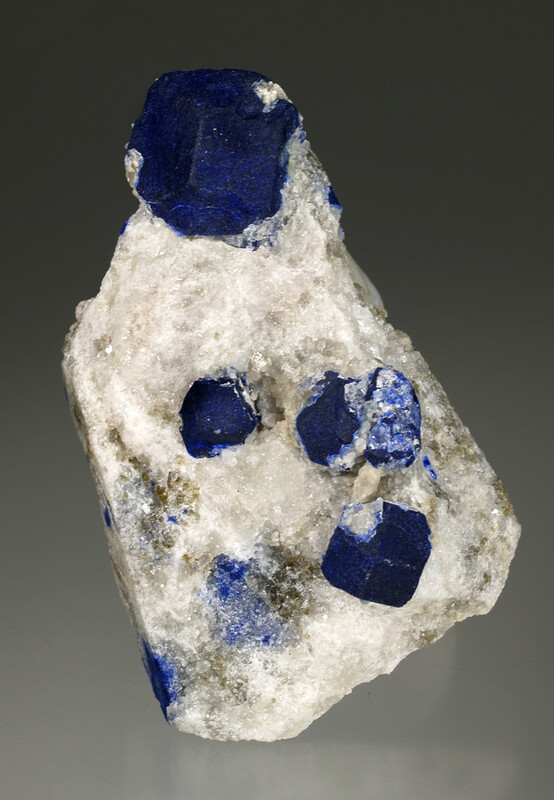 Ladjuar Medam is a generic name meaning "lapis lazuli mine" and therefore can refer to any of the mines in this area. Size: 5.8 x 5.5 x 4.0 cm. 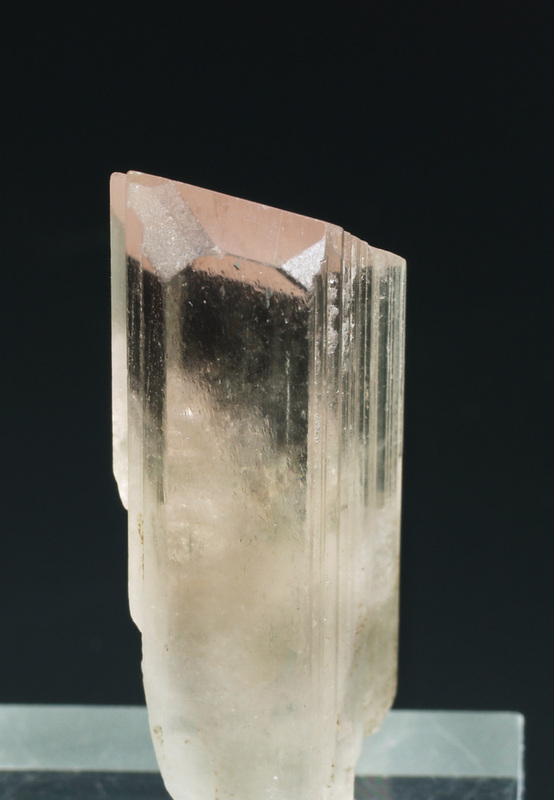 Main crystal: 21 x 17 mm. 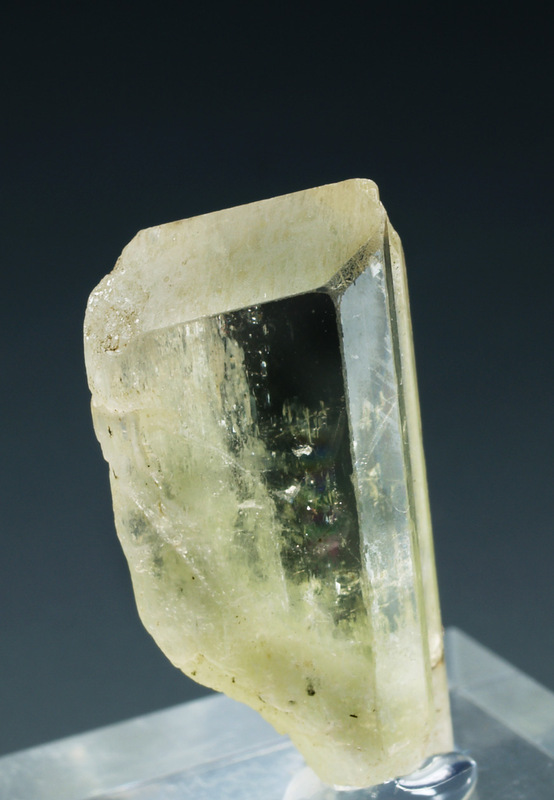 A rich specimen formed by numerous epidote prismatic crystals of gem-quality, brilliance, transparence and with an intense green color. 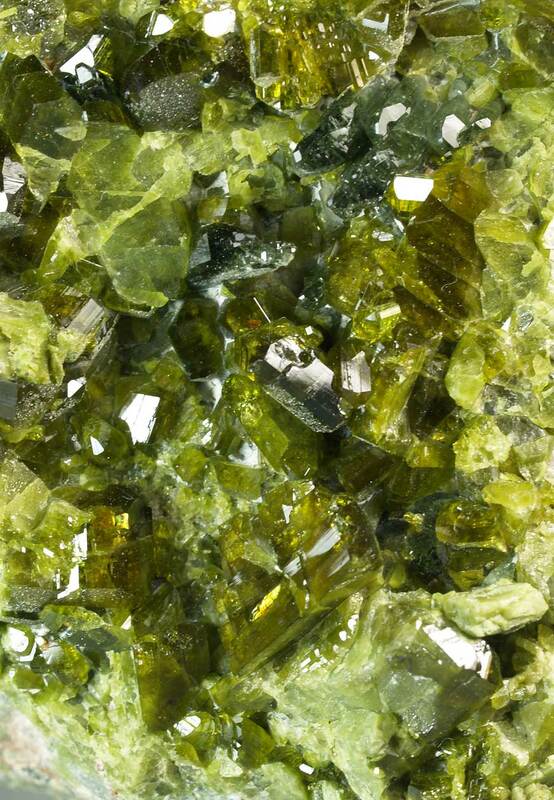 They are accompanied by diopside crystals with a darker green tone. An aesthetic piece and full of shine. Size: 7.5 x 5.5 x 5.0 cm. 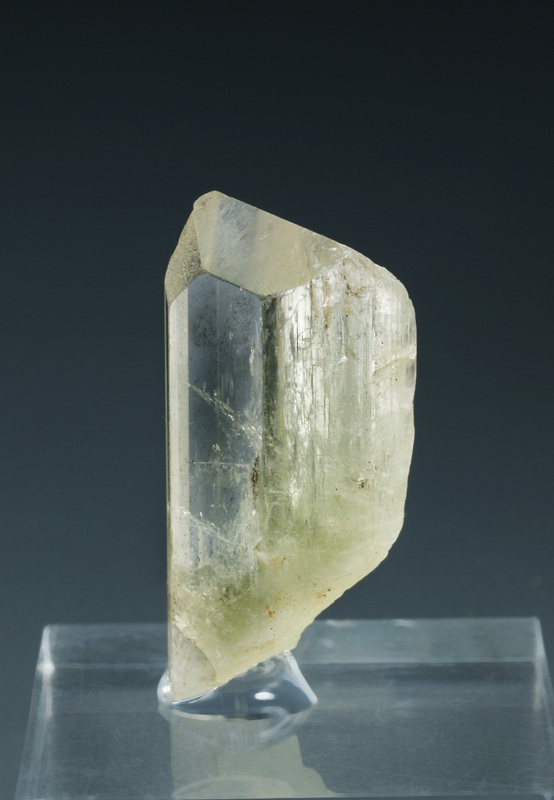 Main crystal: 9 x 4 mm. 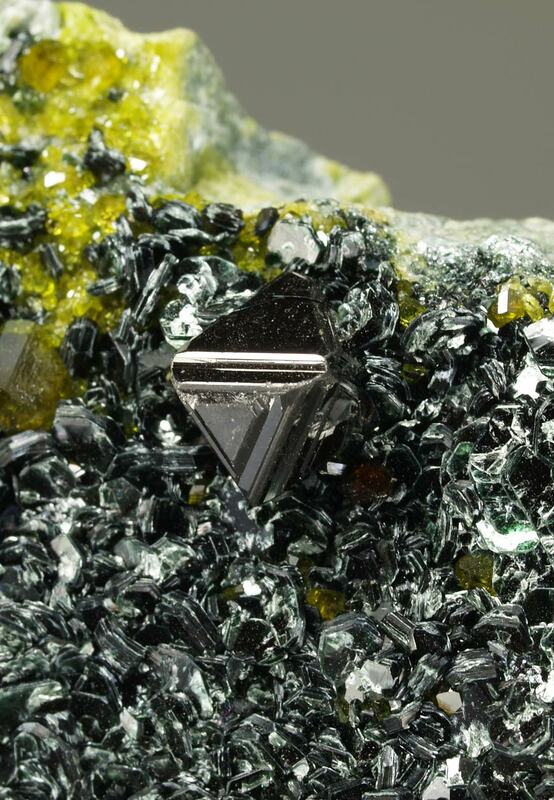 Groups of very sharp magnetite crystals showing octahedral forms with staggered epitaxial growths on faces. 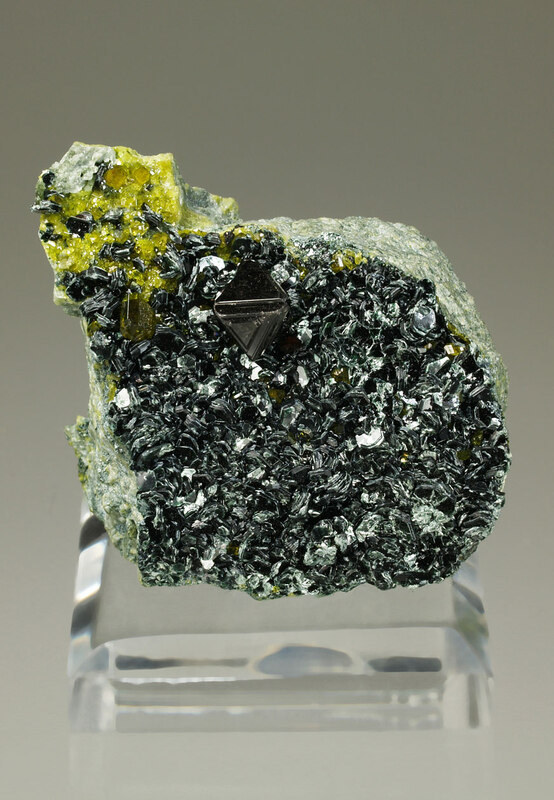 Intense metallic luster, color is deep black and very sharp faces and edges. 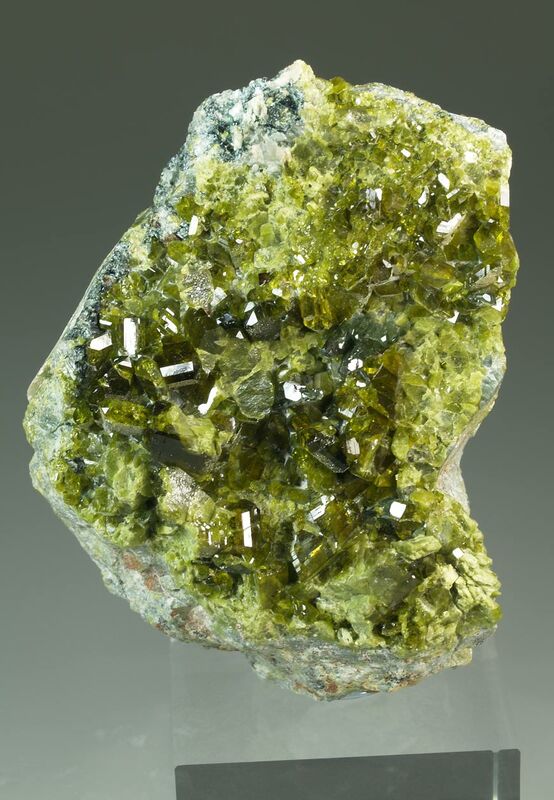 It is accompanied by green epidote crystals, brilliant and transparent; prismatic crystals of diopside (more grayish green tone), andradite and some clinochlore. 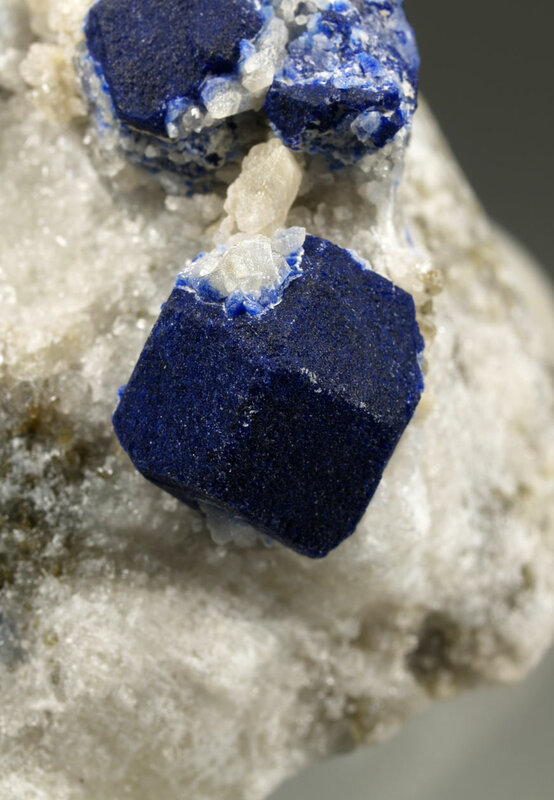 A complete gemmy specimen. 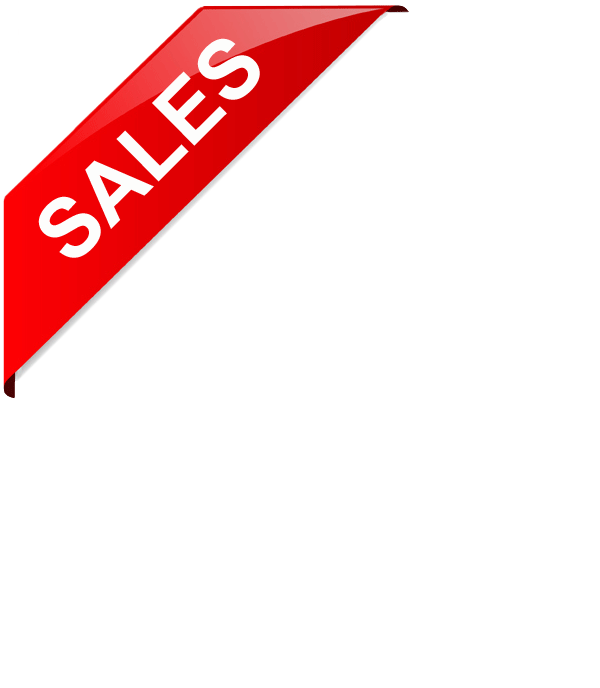 Size: 6,0 x 3,9 x 2,4 cm. 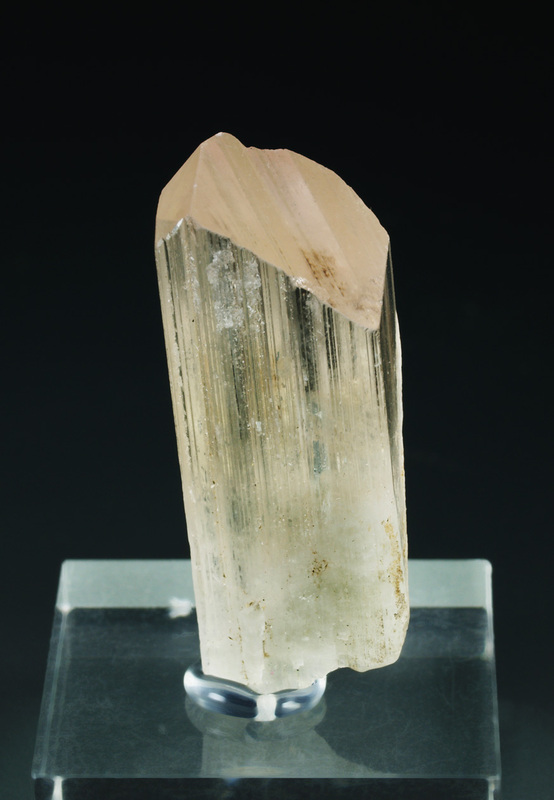 Main crystal: 8 x 7 mm. 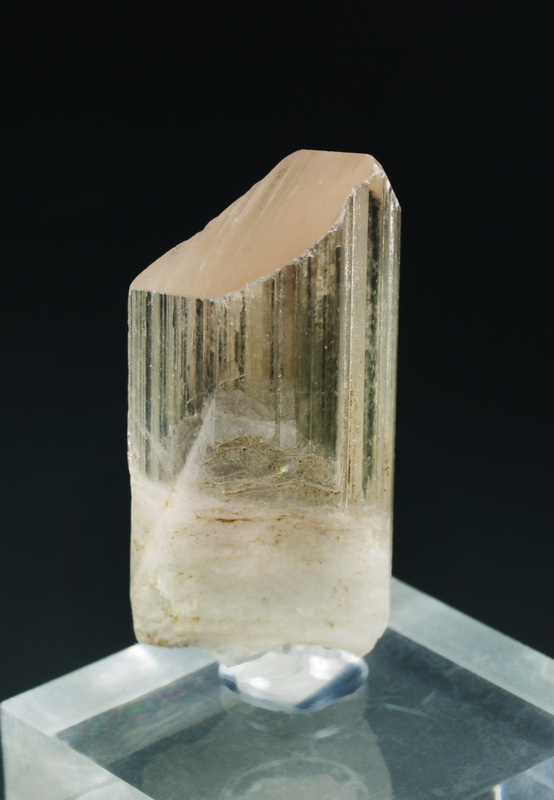 Group of prismatic crystals of elbaite in parallel growth, with striated faces in the prism and defined terminal rhombohedral faces, some fractured. 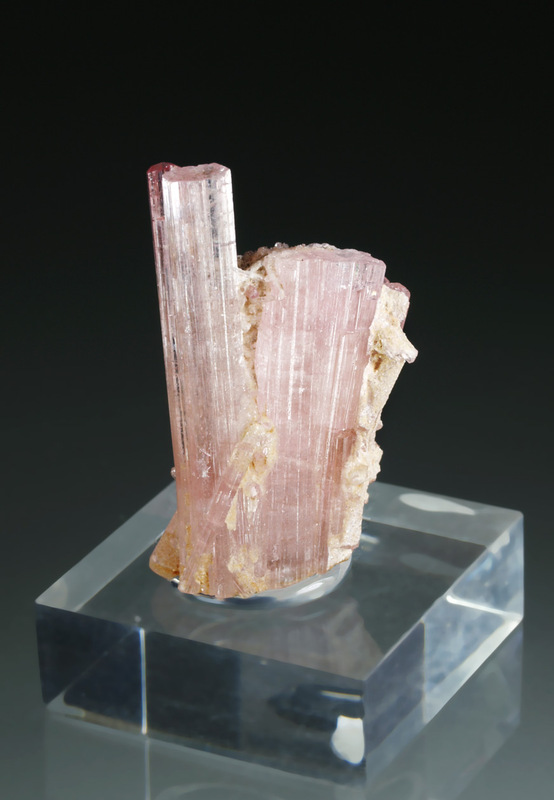 Transparence, brightness and very uniform pink color. A nice gem. Size: 3.5 x 1.8 x 1.8 cm. 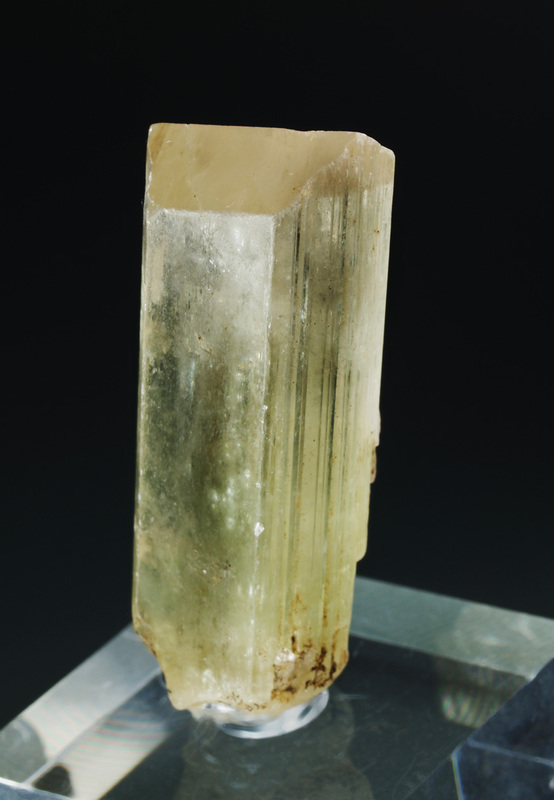 Main crystal: 3.2 x 0.8 cm. Col. J.M. Manchion, Barcelona. Nr. 608.